No two people age the same way. One person can be mentally alert and physically capable, while another suffers from Alzheimer disease, or their memory is good but they are physically weak. This makes the decision of when to look for senior care options difficult since the decision largely boils down to whether the elderly individual is capable of living safely on their own. Even if the individual is staying with you, senior care services may be needed if you are not able to provide the necessary supervision and care. This can be a difficult subject to contemplate or discuss, but it all boils down to a single question: is your elderly loved one safe? Is Your Loved One Safe When Home Alone? This question is important regardless of whether your elderly loved one has dementia, a disability, or another medical condition. If you are the caregiver, then it becomes important to ask whether they will be safe if left alone for an hour, an afternoon, or even a day. 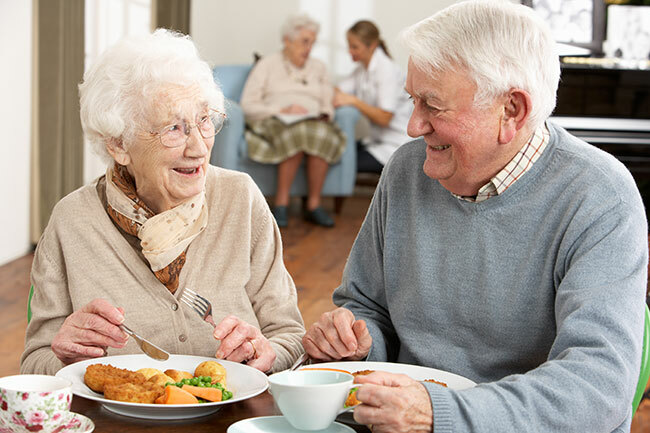 If you are not the caregiver, then the question becomes about whether you feel your loved one's solo living situation is still tenable and safe. When it comes time to evaluate your loved one's circumstances, ask the following questions. Can They React in Case of Emergency? Although unlikely, it is possible that an event like a fire may require the evacuation of the home. Is your elderly loved one capable of leaving the house under their own power? Would they be able to leave regardless of whether they are upstairs or downstairs or in the basement? Do they know when and how to call 911? Are they able to communicate over the phone in the event of an emergency? Can they identify signs such as smoke or fire alarms that indicate potential dangers or emergencies? Do They Know Their Address and Can They Return Home on Their Own? This is an important consideration if your loved one likes going for walks or has a habit of wandering. Are they able to remember their address? Can they find their way back home without difficulty? How easily do they become lost? Can They Manage Their Medication on Their Own? It is common for seniors to be on various medications and the list of what pills to take and when can sometimes become quite extensive. Is your loved one able to stay on top of their medications? Do they properly take the necessary doses at the right times? Are they able to refill their medications on their own? Do they sometimes miss a pill and, if so, how frequently? Do they have life-threatening conditions that may require prompt administration of medicine or some other intervention? Is Their Judgment Sound About Who to Let into the Home? Being alone does not mean being isolated and there will inevitably be those who come to call on the house. Is your elderly loved one able to exercise proper judgment about who should and should not be let in? Salesmen are some obvious examples of those who need to be turned away, but they are not the only sources of potential problems. If your loved one is unsure about someone who wishes to enter the home, is there a plan in place for them to contact you or another family member for advice? Conversely, does your loved one know who should be allowed inside, such as family, friends, or emergency workers? If your elderly loved one becomes hungry, can they prepare or otherwise obtain a meal for themselves? Do they know how to use a stove and/or microwave safely? Do they remember to turn the stove off? Can They Use the Bathroom by Themselves? Everyone needs to take care of their bodily functions. Is your loved one able to properly use the bathroom on their own? Can they clean themselves afterwards? If not, has an alternative system been arranged? Slip-and-fall accidents are a serious concern among seniors. Does your loved one have difficulty walking? Can they use stairs safely? Have they fallen (actually fallen, not tripped or stumbled) within the past year? Do they have medical conditions such as osteoporosis that make bone fractures or breaks more likely? Answering "no" to any of the above questions may mean that it would be unsafe for your loved one to be left alone. Take the time to properly evaluate their living conditions and circumstances and look into potential senior care services or senior care options that could help preserve independence and dignity while still ensuring safety. TheCareGuide.com is an online repository of information and guidance for seniors and their families that has been providing insights into elder care and housing solutions since 1996. Our guide can be used to help determine the best living and housing options for you or your loved ones. More information and advice on senior care and living solutions can be found by contacting us at 1-800-311-CARE (2273) or info@thecareguide.com.